© 2015 Brian Vogel Photography. All Rights Reserved. 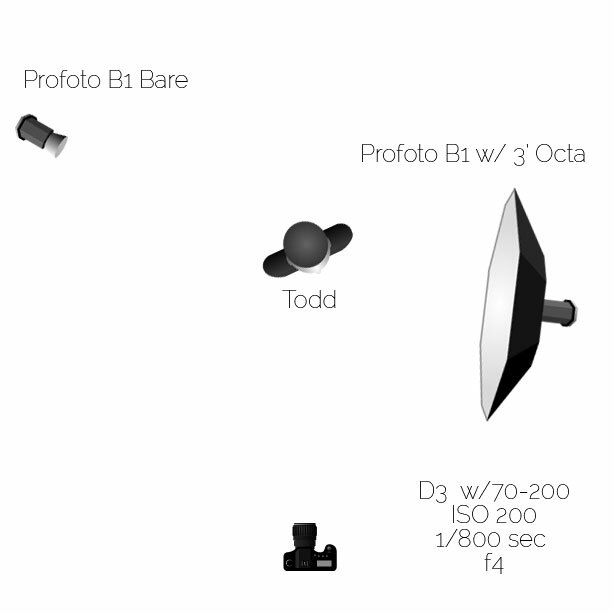 One of the most amazing tools on the market right now is the Profoto B1. This wireless flash unit allows you to pop off up to 500w/s of power on location with no tethering of any kind as well as syncing with your camera up to 1/8000 of a second. That is simply a remarkable feat. 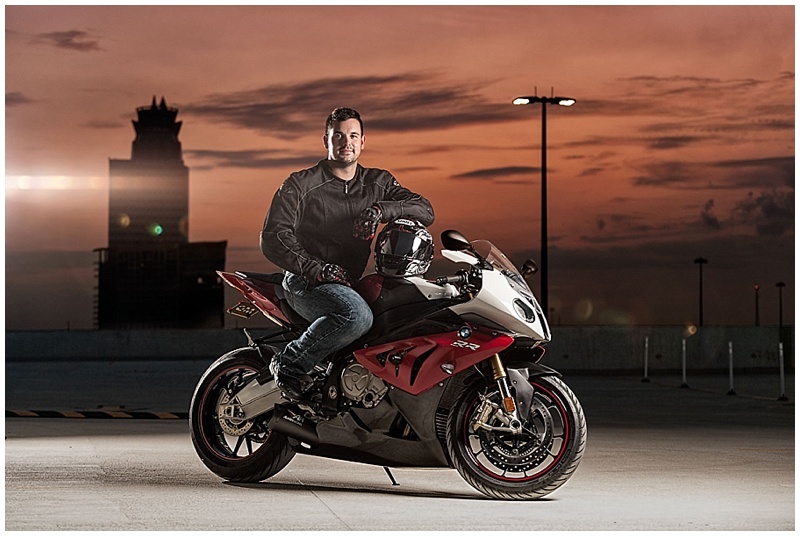 I set up a basic 2 light setup with my buddy Todd and his BMW S1000RR with the 3 foot Octabox as the keylight and the other bare B1 set up as a rim light.My goal with this session was to create some quality drama in the images with lighting by balancing the natural and artificial lighting. I began by setting my exposure for the sky and adjusting the shutter speed as the sun dipped below the horizon. Once I got my exposure and key light set, I turned on the rim light and set it to +1 to create a nice rim on him which also included this nice cinematic flair in a few frames. From there I had him stand behind his bike without the rim light to create a bit more drama in the image. The last images here is with both of the strobes turned off and just utilizing natural lighting to create a strong silhouette. To be perfectly honest it even reminds me a bit of Top Gun. A natural in camera flare was created in this shot which can be eliminated using a simple flag such as some foam-core board or even an outstretched hand. I just left it in. The rim light was eliminated at this point to create more of a dramatic look. What is probably my favorite image from the session was the one that used no complicated lighting. 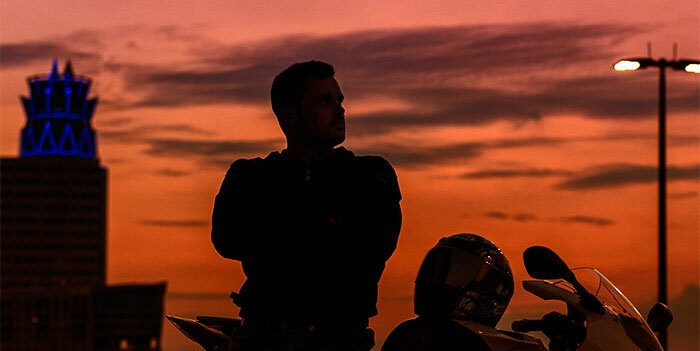 A simple silhouette of Todd was created just using natural light.